Object of the game: Collect sets of funny fish... you'll learn picture matching and turn taking when you play this classic card game. 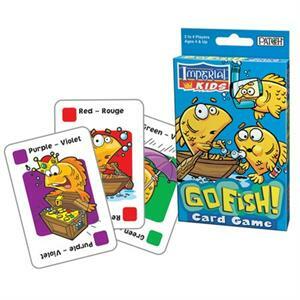 Age group: 4 and up Number of players: 2 to 4 Size: 3.3" x 6" x 0.6" Contents: 36 cards and rules. Recommended for travel, birthday giving, get-well and family fun.